Looking to buy solid 1 Kilo Silver Coins? You have arrived at the right place. 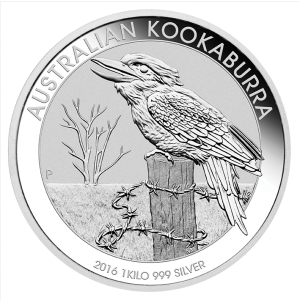 Get the best deals on 1 Kilo Silver 2016 Australian Koala Coins, 2016 Australian Kookaburra Coins, 2016 Year of the Monkey Coins and 2017 Year of the Rooster Coins. Simply check the prices and order the silver coins you desire. The ordered products will reach you safely within the estimated time of delivery.